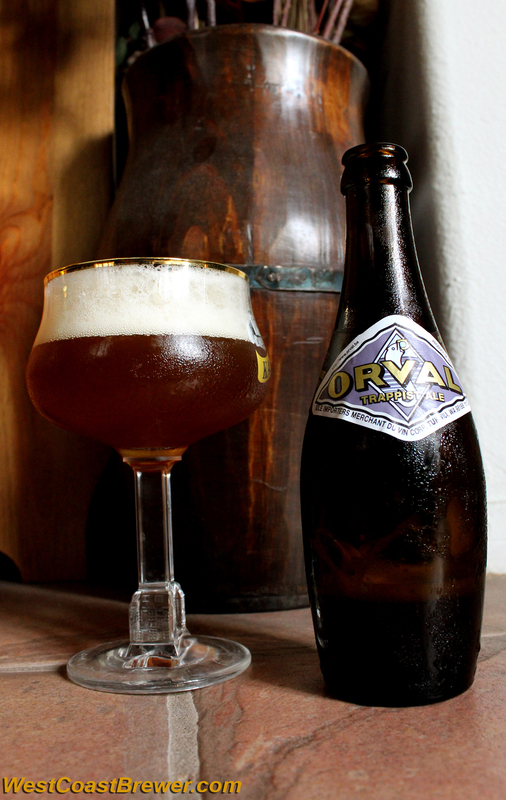 We have reviewed our top pick for the best Belgian Pale Ale, and it is the Orval Trappist Ale. If you are a fan of Belgian ales, and are fortunate enough to find this wonderful beer at your local beer store, I highly recommend that you pick it up. Before purchasing the MoreBeer Ultimate Sparge Arm, I had tried a variety of other sparge arms including a halo style sparge arm, and a spinning fly sparge arm. 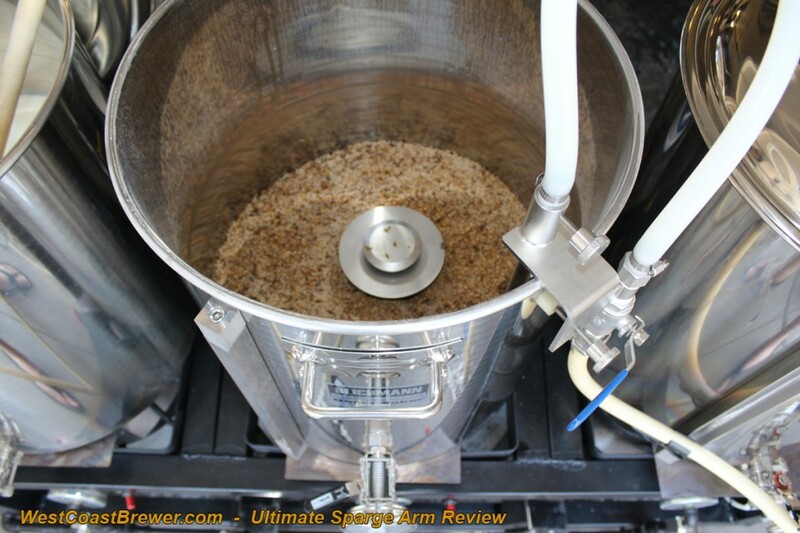 I was intrigued by the Ultimate Sparge Arm because it is constructed of stainless steel, had no moving parts, and no pin holes to get clogged. And with a name like the “Ultimate Sparge Arm,” I had very high expectations for it! Thankfully, I was not disappointed. The Ultimate Sparge Arm is very durable; the stainless steel is thick, and the welds on it are clean and professionally made. Additionally, it is a very versatile sparge arm. It has an adjustable height knob that allows you to set the outflow in a variety of positions to avoid hot side aeration. Since the Ultimate Sparge Arm does not depend on a rotating arm to disperse the water or wort, it allows you to set the flow rate at any level, which is a real benefit over my previous fly sparge arm. It also includes a stainless steel ball valve so that you can easily make fine adjustments to the flow rate. The Ultimate Sparge Arm also includes a mounting bolt that allows you to quickly and easily mount it to the side of your mash tun. Perhaps my favorite thing about the Ultimate Sparge Arm is that it permits you to recirculate wort through it and use it in a RIMS or HERMS system, which is something that I would never have been able to do with any of my previous sparge arms. Using the sparge arm in conjunction with my march pump, burner and digital temperature gauge, I was able to easily convert my all grain system over to RIMS which made my brew day a lot simpler when it comes to regulating my mash temperature. The Ultimate Sparge Arm is one of the best home brew purchases that I have ever made, and I highly recommend it. Click Here for the MoreBeer.com Ultimate Sparge Arm. The MoreBeer.com Ultimate Sparge Arm hooked up to my Blichmann 20 gallon mash tun. I have been using 3 Blichmann BoilerMaker 20 gallon home brewing kettles to conduct my all grain brewing for about 2 1/2 years now. In that time I have not been dissatisfied with my purchase even once. The kettles are durable, rigid, versatile and problem free. One of the things that I like most about the Blichmann brewing kettles is that they come ready to go out of the box with a sight gauge, thermometer, and draw tube/valve. The kettles are engineered beautifully so that you can easily break the parts down with a couple of tools for easy cleaning. The 20 gallon kettles are very rigid, and I never have to worry that one of the handles is going to bust off while I am cleaning it. Blichmann also sells the kettles with easy add-ons like the hop blocker for the boil kettle, and the false bottom for the mash tun, which I both recommend. They also have an optional sparge arm, which I do not use but others speak highly of. The only downside for the Blichmann home brewing kettles is the price. They are by no means the cheapest brewing kettle on the market, but in my opinion, a brewing kettle is not one of the items that you want to skimp on. If you treat them well, they should last you a lifetime and be well worth the extra money. 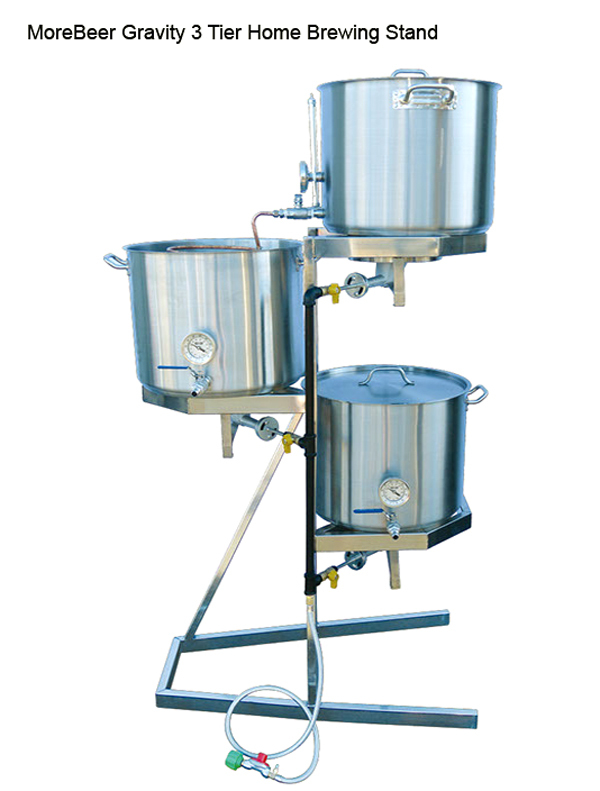 Click Here to see a selection of Blichmann Home Brewing Kettles. A false bottom is a perforated or slotted screen on the bottom of a mash tun or lauter tun that restricts grains from being collected with the wort when it is drawn from the mash in preparation for the boil. There are a variety of false bottoms available for home brewing. 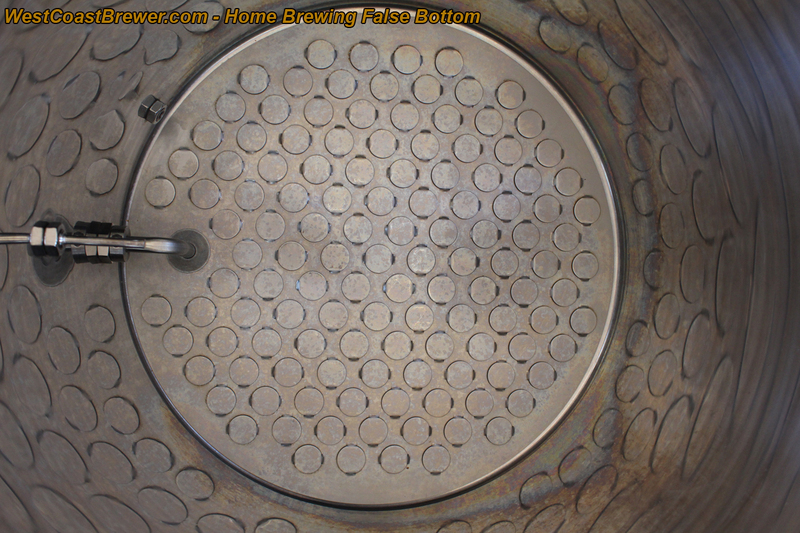 Click Here to see a selection of home brewing false bottoms. Keg airlocks are now available if you decide that you would like to use your kegs to ferment your beer. I conduct my secondary fermentation in kegs because I am able to store more of them in my fermentation refrigerator than carboys. Since there is only minimal fermentation occurring during secondary, head space is not a real issue. Below is a photo of a keg airlock. 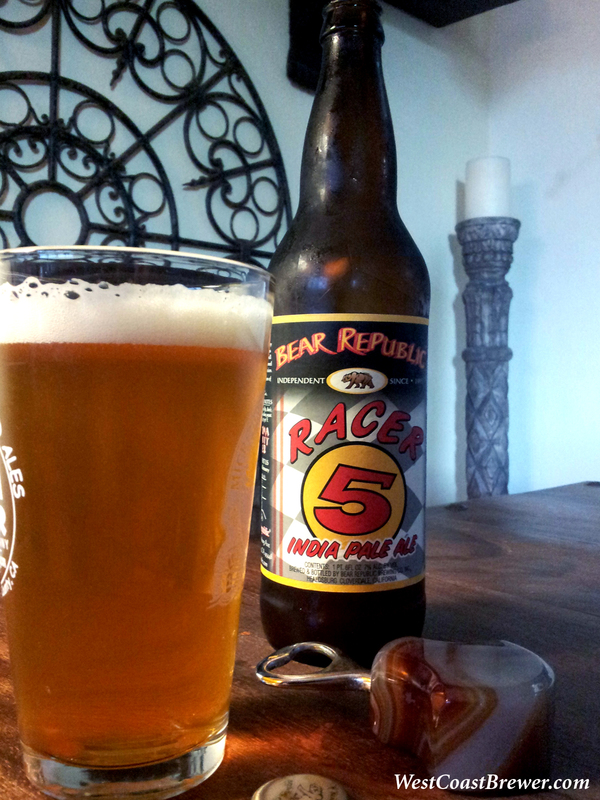 Racer 5 has been voted as the Top IPA by WestCoastBrewer.com. The following is a quick video on how to clean a 5 gallon Corny keg. Home brewing is an fun but complex hobby, and home brewers are always on the lookout for ways to make their next batch of beer better than the last. The following is a list of the 10 easiest tips and methods for improving your home brewed beer. Probably the easiest way of improving the quality of your beer is to simply clean and sanitize your home brewing equipment properly. Cooled wort is extremely susceptible to contamination from bacteria and wild yeast strains. Anything that comes in contact with the wort once it has been cooled must be sanitized. Even small amounts of bacteria can quickly ruin the taste of your home brewed beer. Many home brewers fall prey to under fermented home brewed beer, stalled fermentations, or off flavors caused by under pitching yeast or pitching nonviable yeast. 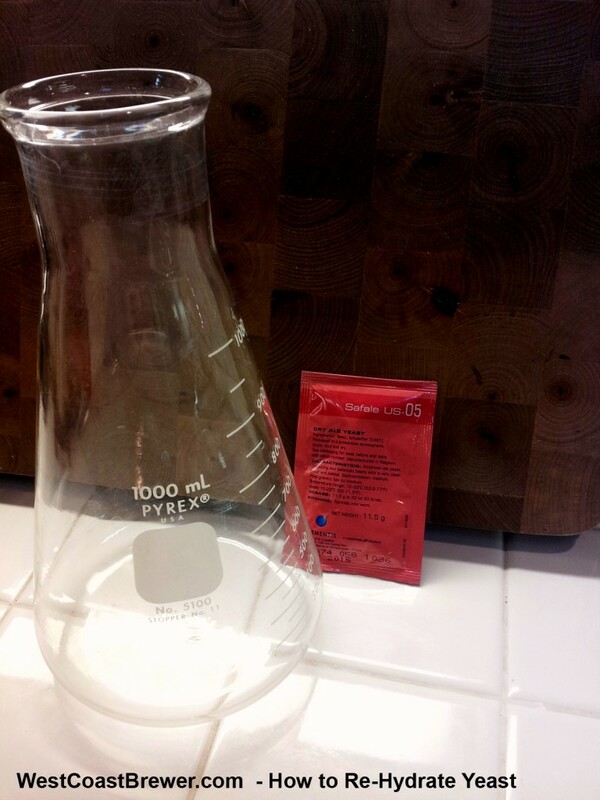 A yeast starter is a great way of boosting your yeast cell count and of verifying the viability of a liquid yeast. If you are unable to create a yeast starter and are using dry yeast, at the very least you should rehydrate your dried yeast. 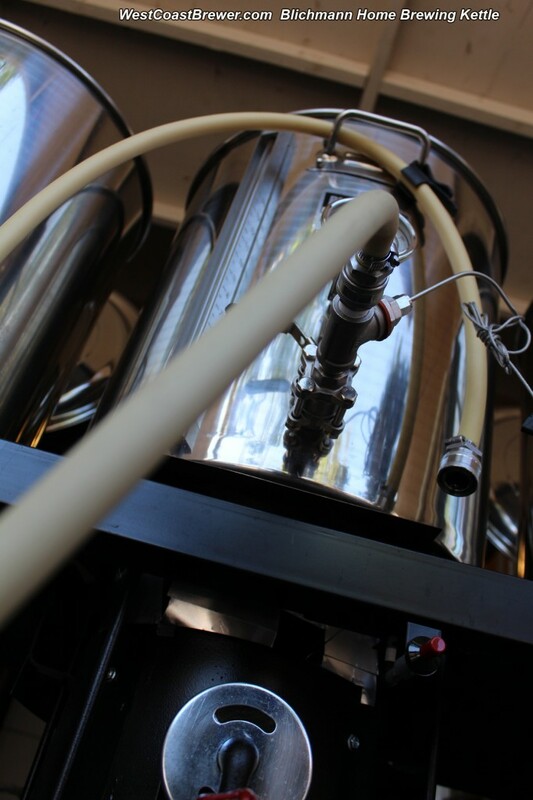 Aerating and oxygenating your cooled wort is a fantastic method for improving the quality of your beer. Yeast requires oxygen to replicate quickly and once the airlock has been placed onto your fermenter, little to no new oxygen will be available for the yeast to consume. Many home brewers who are first starting out take the importance of fermentation process for granted. During fermentation, billions of yeast cells are digesting malt sugars and converting them to nearly equal portions of carbon dioxide and alcohol. If the temperature of the fermentation is too high for your yeast strain, the fermentation may occur too rapidly and foul off flavors may be produced in your beer. If the temperature is too low, the yeast may not reproduce quickly enough and your beer may stall, be under fermented, or increase the possibility of a bacterial infection. So always pay attention to the temperature requirements of your yeast strain, and ferment your beer in a temperature controlled environment if possible. Water is the primary ingredient in beer, and its importance should not be underestimated. Chlorine and contaminants can create significant off flavors in your finished beer. Carbon water filters are relatively inexpensive, and I highly advise that you pass your brewing water through one before using it during any part of the home brewing process. Home brewing ingredients, just like all other food ingredients, go bad and diminish in flavor and effectiveness over time. Whenever possible, always use the freshest available extracts, grains, yeasts, adjuncts, and hops when making your home brew. If you have spare ingredients, make sure that you store them properly for future use. Hops and yeasts should always be stored in the refrigerator. Dry hopping is a simple and effective way of improving the aroma of a beer. Approximately 7 days prior to kegging or bottling your beer, simply add an appropriate amount of aroma hops to your fermenting beer to impart some fresh hopped aroma to it. Dry hopping is not acceptable for all beer styles, but can be a fantastic addition to IPAs and pale ales. It is easy to get excited about a beer and cut corners so that you can enjoy the beer more quickly. Unfortunately, cutting corners typically comes with a price. Beer takes time to brew, ferment, and condition. Do your best not to cut your boil short of 60 to 90 minutes, rush your fermentation by allowing the temperature to get too high, end fermentation early, or take shortcuts in bottle or keg conditioning. A lot of things go into making a great home brewed beer. It is more then just taste. When appropriate, fining agents such as whirlfloc should be used to improve the clarity of your beer. Whirlfloc and other finings, such as Irish Moss, are very simple to use; you just drop a tablet in 15 minutes prior to the completion of your boil, and it will help precipitate excess proteins and tannins out of your wort, leaving you with a clearer and cleaner finished beer. Oxygen can quickly skunk the flavor of your home brew, and the only time when oxygen is a good thing is when you are aerating your wort prior to pitching your yeast. Even then you must be cautious not to aerate your wort if it has not been cooled to 80F or less, as you may risk causing hot side aeration. When racking or transferring your home brew, always be cautious not to splash or let the beer bubble up, introducing oxygen into it. If you keg your beer, it is a good idea to purge the head space of the keg with CO2 after filling the keg. 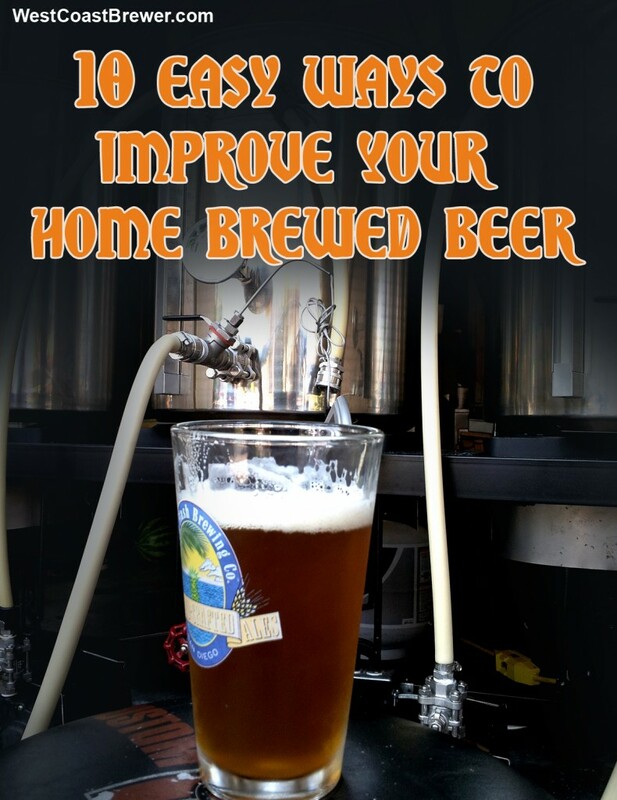 Those are the West Coast Brewer 10 Easy Ways of Improving Your Home Brewed Beer. Rehydrating dried yeast is a quick and easy way of improving your beer if you are not already making a yeast starter. In fact, most dried yeast manufactures recommend that you re-hydrate yeast before pitching it. The primary benefit of re-hydrating your yeast as opposed to just sprinkling it on to your cooled wort is that, in their dried state, yeast cells are dormant; re-hydration awakens the yeast cells and prepares them so that they can begin fermenting the wort more quickly. Additionally, re-hydration has an optimal temperature range to produce the highest number of viable healthy yeast cells. This temperature range is approximately 95F – 100F. If the temperature is much lower then that, which wort typically is in order to diminish the potential of hot side aeration and oxidization, yeast viability is greatly diminished. That means that if you do not re-hydrate, you are pitching far fewer active yeast cells and opening the possibility of a slower fermentation, a stalled fermentation, and potentially, an under fermented finished beer. In my mind, such an easy process should not be bypassed when you consider all of the effort that goes into making a quality home brewed beer. 1) Bring one cup of chlorine free tap water to a boil. 2) Cool the sanitized water and container to 95F – 100F. Make sure that it is not hotter than that or you may risk killing the yeast. 3) Gently sprinkle the yeast on top of the water, doing your best to avoid the sides of the container. Place tin foil over the top of the container to prevent anything from entering and contaminating the yeast; you will want to keep the yeast solution as sanitary as possible. Do not stir or swirl the yeast at this point; instead let the yeast become saturated by the water for 20 minutes. Wrap the container in a towel to keep the container warm and shield it from sunlight. 4) After 20 minutes, thoroughly stir and swirl the solution until the yeast has properly mixed with the water. Let the mixture stand for another 15 minutes or so, mixing it occasionally. That is it; at this point you are ready to add your rehydrated yeast into your cooled wort. That easy process is how to re-hydrate yeast! Good luck and happy brewing. A Kolsch beer (pronounced “koelsch”) is similar to a pilsner in flavor and appearance, but usually has a touch more malt sweetness, a bit less hop bitterness, and some subtle fruit notes picked up from the yeast. It is a clean tasting and light bodied beer. For me, summertime is the best time of year to enjoy a nice cold Kolsch. Its crisp flavor and low ABV make it the perfect beer for a hot day. Perhaps it is the warm weather right now that has inspired me to write this blog entry about a beer that, in my opinion, does not receive the attention that it deserves. Kolsch gets is name from the city that it is brewed in, Koln, also known as Cologne, Germany. It is a very light colored beer with a SRM as low as 3, and is one of the palest beers brewed in Germany. 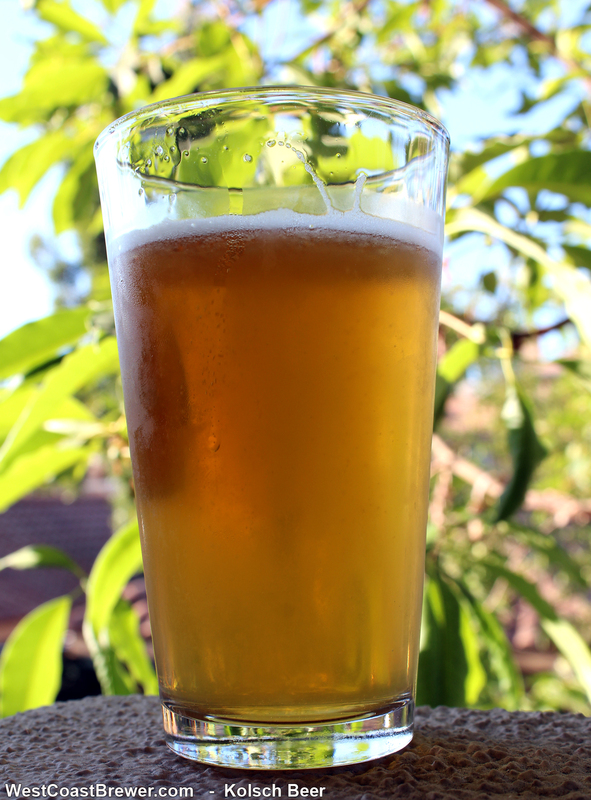 Kolsch beers are known for their clarity and bright blonde color. As far as bitterness goes, Kolsch beers typically come in at right around 20-30 IBU’s delivering a moderate and not overpowering hop flavor. The typical alcohol by volume for a Kolsch is between 4% and 5.25%. One of the characteristics that makes Kolsch beers so unique is that they are fermented with a Kolsch-style top fermenting ale yeast, such as Wyeast 2565, at a temperature of about 60F, as opposed to with a bottom fermenting lager yeast. After primary fermentation has concluded, the beer is then cold lagered at approximately 40F for several weeks until it has fully cleared and conditioned. Also interestingly, Kolsch has a geographical appellation. The Kolsch appellation became recognized by German law in 1997 and only approximately 20 breweries located in and around Cologne may legally claim their beers as a Kolsch. Breweries outside of Cologne who brew Kolsch beers are to refer to the beer as a Kolsch style beer as opposed to an actual Kolsch since the name implies it was brewed in Cologne. The appellation works very similarly to champagne and the Champagne region of France. There are a few options out there for turnkey/ready made home brewing stands, brewing sculptures, and home breweries. Depending on the style and materials they can be very expensive, so you will want to make sure that you are making the right choice when it comes time to buy. Here are a few things to consider when you are ready to make your purchase. 1) How much volume do you plan on brewing? This is important because you can quickly outgrow your brewing rig if you choose brewing kettles that are too small. Some brewers opt to just purchase larger kettles in case they decide to brew larger batches down the road, but that creates problems as well. When you try to brew a 5 gallon batch in a kettle that is 20 gallons or larger, the built-in thermometers can be above the fluid line, which renders them useless. Additionally, some sparge arms are too short to properly sparge a smaller amount of grain, and you will need to find a workaround. So make sure you give careful thought to your brewing capacity before buying. 2) What is your budget? I don’t know about you, but I have wasted a small fortune buying home brewing gear only to replace it down the road when it either broke, or I decided to upgrade to a superior product. Home brewing stands, home breweries, and brewing sculptures are no different. If you have the money to spend upfront, then purchase the best available home brewing equipment so that you do not end up wanting an upgrade, or worse, needing to replace it down the road. Technology is improving in home brewing, but items such as brewing kettles, pumps, and wort chillers are items that may last a lifetime if they are of high quality and properly maintained. 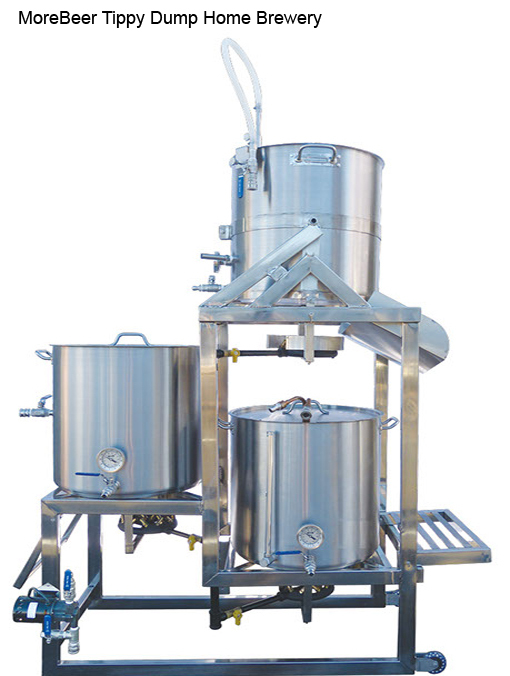 Most quality brewing sculptures are modular in design and can be modified or upgraded if needed. 3) How much space do you have available for home brewing? This was my most difficult decision when I designed and built my home brewing stand. I do not have a lot of free space available where I live, so for awhile I debated if I was going to go with a single tier beer brewing sculpture or with a multi-tier. Ultimately, I ended up going with a single tier brewing stand. I had to free up a good deal of space in my garage, but the benefits of a single tier design were important enough for me to make the tradeoffs. Here are some examples of different home brewing stands, beer sculptures, and home breweries. The beer sculptures shown are all made by either MoreBeer or Blichmann and you can click on the image or link to view additional details and prices. The MoreBeer Tippy Dump is a great sturdy and compact multi-tier home brewery. 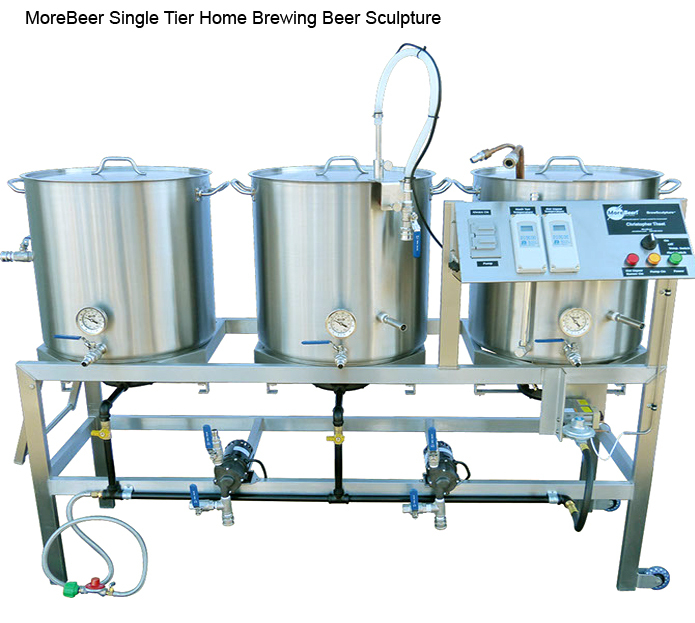 This is my top pick: The MoreBeer Single Tier Home Brewing Sculpture. It is all stainless and has two pumps moving the hot liquor and wort. All of the kettles are easily accessible, so you can work with them safely. The MoreBeer Gravity-Fed home Brewing Stand does not use pumps so it is lower cost than the other brewing stands, and easier to store if you have a limited amount of surface area but height is not an issue. 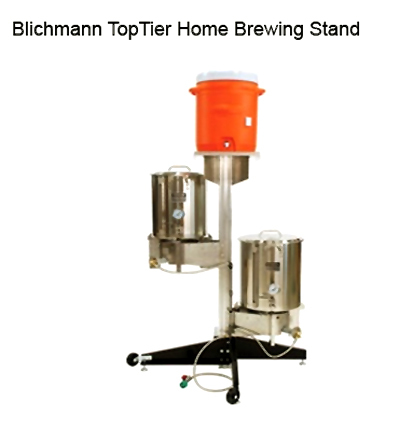 Blichmann is one of my favorite names in home brewing, and I use a variety of their products, including their kettles. They make a high quality and affordable multi-tier brewing stand that is very customizable. I thought it might be helpful if I created a list of must haves if you are considering getting into home brewing, but do not want to spend a lot of money on gear until you know how much you will enjoy it. If you are just starting out, you will want to begin with extract brewing. In extract brewing, the starches from grains have already been extracted and converted to sugar for you. To make things even easier, most home brewing supply stores and online vendors will have ready made extract home beer brewing kits that will provide you with all of the ingredients you will need. I advise that you start with an ale since they are lower maintenance than lagers and are typically ready to drink much sooner. 1) Large Pot – You’ll need this to boil your home brewed beer. The larger the better, but at least 3 gallons in size if you’ll be making a 5 gallon batch of beer. You will need to add additional water after your wort has been boiled to dilute it to 5 gallons if you do not have a large enough pot to boil the entire batch. 2) Fermentation Vessel – You’ll need a glass or plastic fermentation carboy, or a plastic bucket with a drilled hole airlock. The fermenter needs to be sanitized and airtight, but it has to allow the massive amount of CO2 that is being created during fermentation to escape. I highly recommend you purchase either a carboy or bucket built for fermentation as opposed to making your own unless you are very handy. If wild yeast or bacteria gets into your fermenting beer, it can quickly ruin a batch. 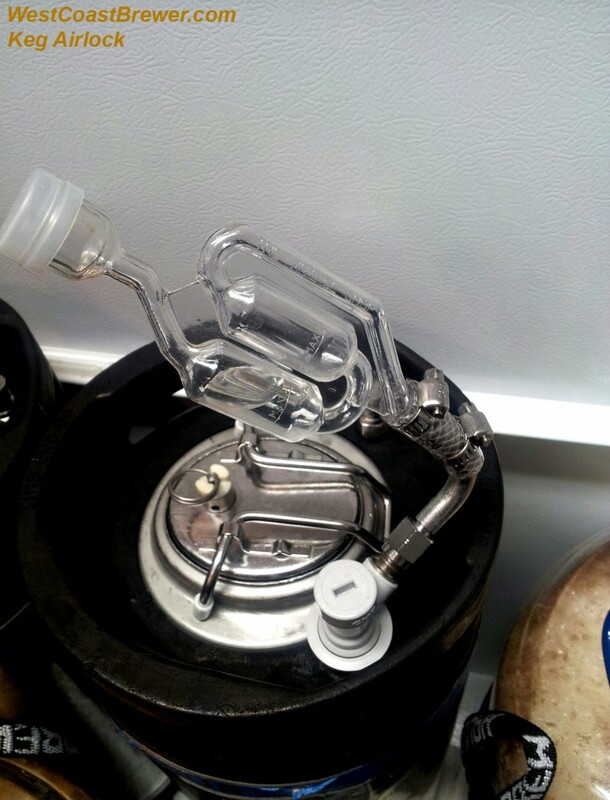 3) Airlock – As mentioned above, you will need an airlock for your fermenter. 4) Cleaner and Sanitizer – Cleanliness is rule number one when it comes to home brewing. Anything that will come in contact with the wort or beer after boiling must be cleaned and sanitized first to avoid contaminating the wort or beer. Every item should be cleaned properly and then rinsed of any soap or cleaning residue. Next, the item should be sanitized using either an iodine or acid-based solution to ensure that it is free of any germs, bacteria, or foreign fungus/yeast. You can use a food grade cleaner that you have around the house, just make sure that all of the residue is removed, as it can impact the taste of your finished beer. I recommend you purchase a food grade sanitizer if possible. 5) Siphon and Siphon Tube – You will want to purchase a siphon and siphon tube to allow you to transfer your beer from primary to secondary fermentation if you will be conducting a two stage fermentation. You can also use it to transfer the finished beer to your bottles. 6) Bottles – If you want to save money, you can collect beer bottles and reuse them to bottle your own beer. Be sure that the bottles are properly cleaned and sanitized prior to bottling. You will want to avoid screw cap bottles, and if you can find them, latch top bottles are ideal since they do not require capping. 7) Bottle Caps and Beer Bottle Capper – You need to purchase an appropriate amount of beer bottle caps and a beer bottle capper so that you can bottle your beer when it has been finished. 8) Thermometer – You will also want a cooking grade thermometer to check your temperatures. 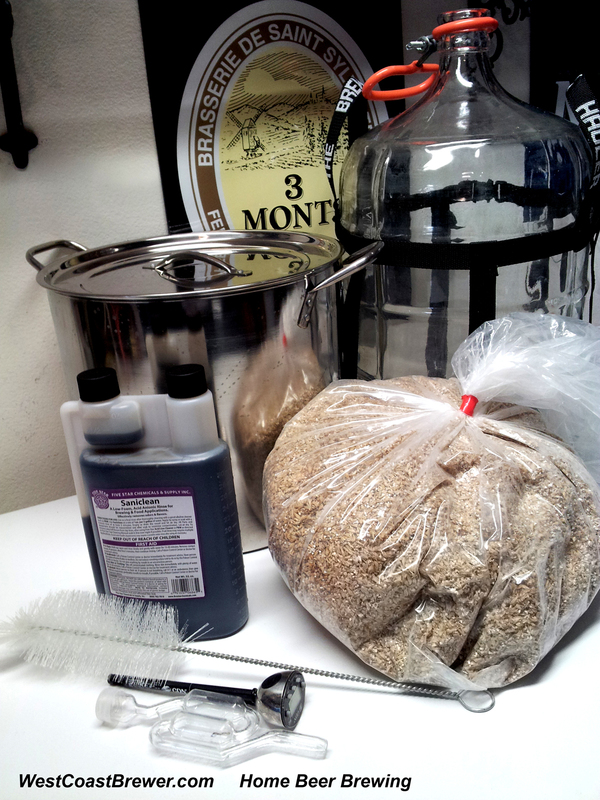 9) Beer Ingredient Kit – Lastly, you will need to choose a beer ingredient kit for the type of beer you want to make. I recommend starting with something simple that you really enjoy drinking. My first kit was an American Wheat extract kit. It was very easy to brew and it came out wonderful, way better then I expected it would. Beer always seems to taste better when you brew it yourself! There are a variety of other items that will come in handy, such as a large paddle to stir with, a funnel, a wort chiller, and secondary fermenter; but for your first batch, you should be able to get by with the items listed above. I have included some links for home brewing recipe kits and home brewing equipment kits that will provide you with all that you need to get started at a reasonable price.